Sue Griffin, Ph. 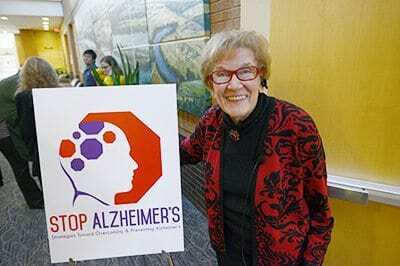 D., speaks at the Alzheimer's Association International Conference in Toronto. Griffin received the Lifetime Achievement Award at the event. 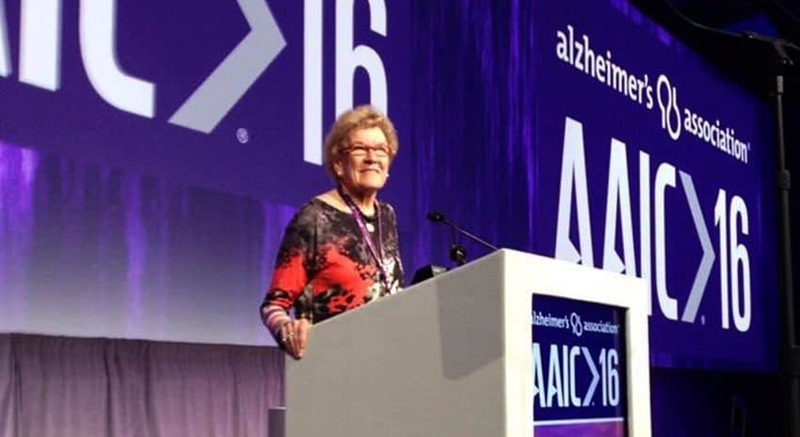 July 25, 2016 | July 25, 2016 | University of Arkansas for Medical Sciences (UAMS) researcher Sue T. Griffin, Ph.D., recently received the Lifetime Achievement Award from the Alzheimer’s Association at its International Conference in Toronto. Griffin has made groundbreaking contributions in the study of Alzheimer’s disease and other neurodegenerative conditions. She is the Alexa and William T. Dillard professor in geriatric research, director of research at the Donald W. Reynolds Institute on Aging at the University of Arkansas for Medical Sciences and the founding chief editor of the Journal of Neuroinflammation. Sue Griffin, Ph. D., pauses for a moment before she speaks in 2015 to the audience at a STOP Alzheimer’s event at the Donald W. Reynolds Institute on Aging. Her pioneering work included the discovery of a type of inflammation in the brains of Alzheimer’s patients. Griffin went on to show how this inflammation contributes to formation of amyloid plaques, neurofibrillary tangles, and Lewy bodies in Alzheimer and Parkinson brains as well as its connections to genetic differences that confer greater risk of the disease in certain individuals. Her current work is building toward therapy with a team-oriented exploration of novel drugs to combat these molecular and biochemical processes. Griffin’s perseverance has been an asset. In 1986 when she joined UAMS, Griffin was having a hard time attracting interest in her theory about Alzheimer’s disease. In 1989, she published a landmark study describing how neuroinflammation provokes an out-of-control immune response. Many scientists have since confirmed her findings, and today most in the field accept her theory, and the Alzheimer’s program at UAMS has earned NIH grant awards continuously since 1991.